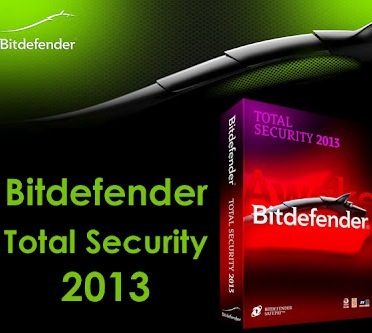 The company BitDefender has released a new version Total Security 2013 – integrated security solutions. Available list of improvements did not differ significantly in size, but you can point to a number of very interesting improvements for protection against viruses and other security threats. One of the important innovations version Total Security 2013 does become isolated browser – Safepay, which runs in a secure environment with a virtual keyboard. This browser opens automatically when detects that you are visiting the site of the payment systems, banks and other resources of this kind. Tough protection against interception of keystrokes helps to perform any financial transactions with maximum security. In addition, the company offers a proprietary technology – BitDefender Anti-Theft to find lost or stolen computers. With the loss of the machine, the user can enter into a special web-portal, which allows you to track space connecting a PC to the Internet, and then give the command to block or destroy all data held in a computer. USB Immunizer module allows you to USB-stick resistant to malicious programs that run automatically when you connect the media to a PC. Rather, this new technology will be as far from the agreed level of protection as the solutions of other manufacturers, and even a little extra protection against viruses startup is better than no protection. For those who are piling security technologies in the new version of Total Security 2013 seems too complicated, the company BitDefender offers a new mode “autopilot”. In this mode, the defense is going to bother by the messages, and all operations to address the threats will be carried out automatically. Total Security 2013 dressed in a new, modern interface that can be called excellent, if not quite useless widget for your desktop. Of course, the new product implements all the features you can expect from any actual solutions in this class on-demand virus scanning and real-time protection, spam filter, firewall, personal data protection tools, protection for browsers, backup online -storage, file encryption, and others. By the way, you should keep in mind that no 32 – or 64-bit version of BitDefender Total Security 2013 is not intended for use in conjunction with other security tools – the program simply will not install if it detects other similar products on the machine.